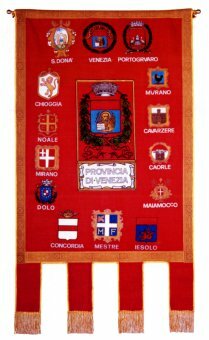 The flag of the province of Venice is white with the coat of arms of the province, which is azure a half lion of Saint Mark holding in its paws an open book with the words « Pax tibi Marce evangelista meus » sable. The gonfalon is the same with the name of the province in gold. white with the Coat of Arms in the middle. Very old flag (XIXc. ), official. 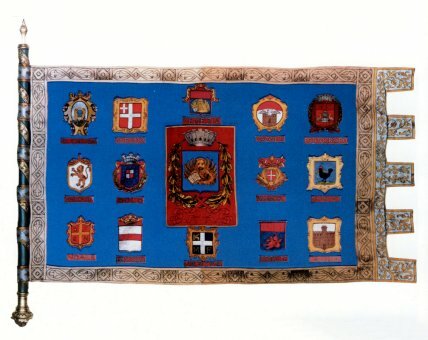 At <www.iagi.info> one can see an image of a former provincial flag of Venice province: blue withcoats-of-arms of subdivisions.